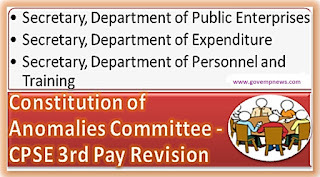 CSPE 3rd Pay Revision - Constitution of Anomalies Committee** No. 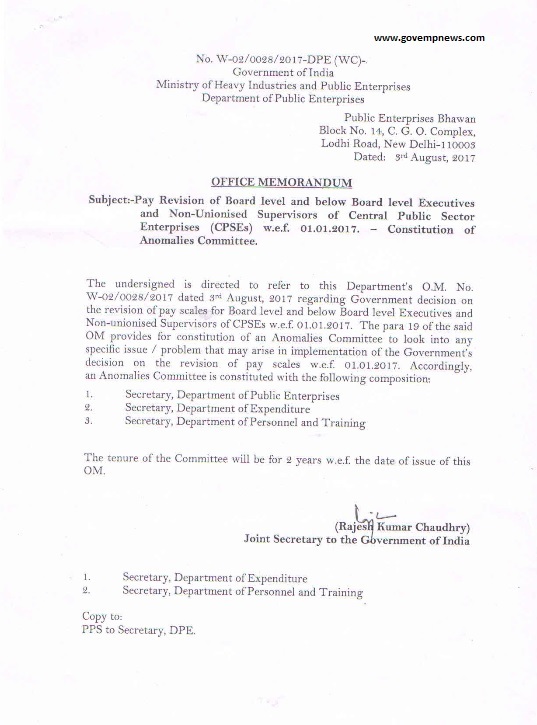 W-02/0028/2017-DPE (WC), Government of India, Ministry of Heavy Industries and Public Enterprises, Department of Public Enterprises, Public Enterprises Bhanwan, Block No. 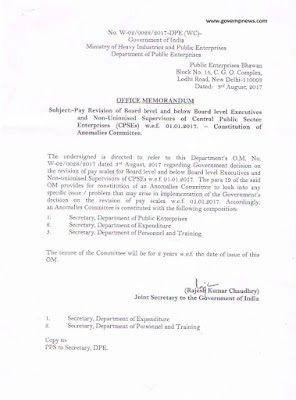 14, CGO Complex, Lodhi Road, New Delhi - 110003 ** Dated 3rd August, 2017 ** OFFICE MEMORANDUM ** Subject: Pay Revision of Board Level and below Board Level Executives and Non-Unionised Supervisors of Central Public Sector Enterprises (CPSEs) w.e.f 01.01.2017 - Constitution of Anomalies Committee. 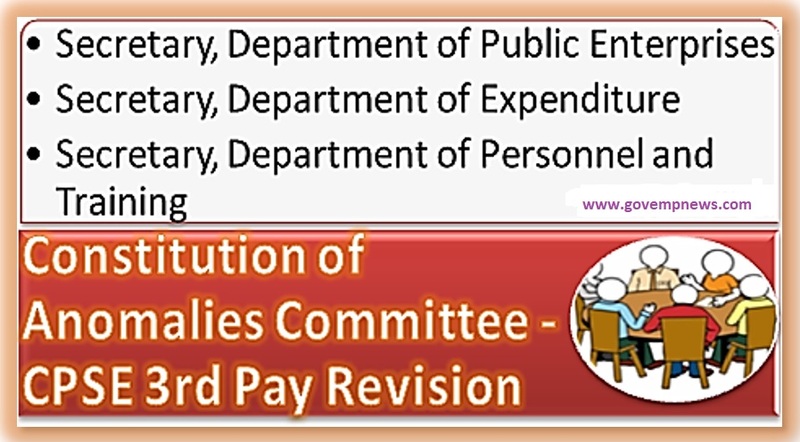 Subject: -Pay Revision of Board level and below Board level Executives and Non-Unionised Supervisors of Central Public Sector Enterprises (CPSEs) w.e.f. 01.01.2017. - Constitution of Anomalies Committee .